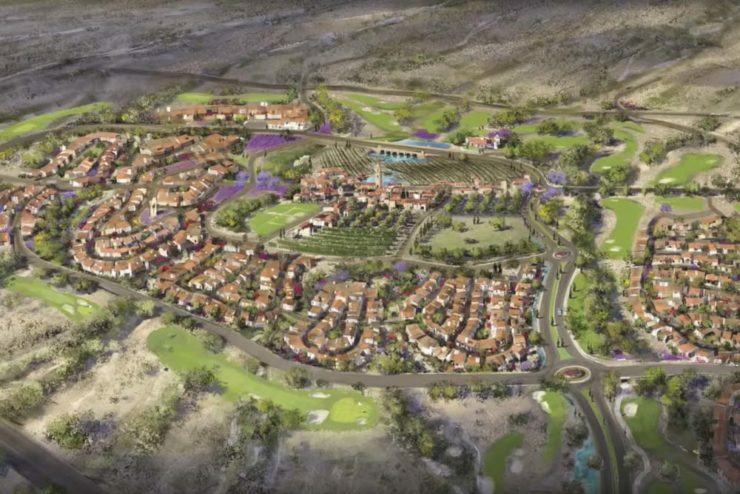 An artist's rendition of a portion of the proposed Villages at Vigneto housing development. The U.S. Fish and Wildlife Service last month lifted its longstanding objections to the construction of a city-sized development that threatens the last free-flowing major river in the arid Southwest. The San Pedro is a vital resource in the parched Sonoran Desert, sustaining some 400 species of migratory birds. The agency twice in recent years had warned that a key federal permit to build 28,000 homes, golf courses and other amenities near the San Pedro River in southern Arizona would have “appreciable” effects on wildlife. It cited substantial scientific research warning of risks to rare species such as the jaguar and yellow-bellied cuckoo. But last month, the Fish and Wildlife Service reversed itself, according to an Oct. 26 letter obtained by High Country News through a Freedom of Information Act request. Under pressure from the developer and the U.S. Army Corps of Engineers, the Fish and Wildlife Service agreed that the federal permit to allow a developer to fill in 51 acres of desert washes for roads and building pads would not adversely affect endangered or threatened species. The agency emphasizes that its change in judgment does not extend to the entire development, however. The reversal comes as President Donald Trump repeatedly has ordered agencies to roll back environmental protections to facilitate business interests. Environmental groups opposed to the project say the flip-flop reflects the Trump administration’s willingness to sideline science as it eliminates environmental protections it sees as impediments to a range of industries, from real estate to oil and gas drilling. “I think that the turtles are putting their heads in the shell; it’s not likely any agency is going to be proactive in that climate,” said Karen Fogas, executive director of Tucson Audubon. The threat to the San Pedro dates back to the mid-2000s, when another developer proposed a similar, smaller project on this same land. Environmentalists and federal agencies fought it then, too. The Environmental Protection Agency warned in a 2004 letter that it was reasonably foreseeable that pumping groundwater to serve the development could turn the San Pedro from a year-round river to an ephemeral stream that flows only after storms or a seasonal stream that flows only part of the year. Despite the objections, the Corps gave the developer a permit to fill 51 acres of desert washes. That developer never built the project and in 2014 sold the property to El Dorado Holdings LLC. The Corps transferred the permit to the new owner but suspended it last year after environmentalists sued. Until Dec. 4, the Corps is accepting public comments on whether to reissue, modify or revoke the permit. By law, federal agencies have to consider impacts of proposed actions on endangered species and consult with the Fish and Wildlife Service. But until recently, the Corps and Fish and Wildlife Service disagreed about whether the impacts of the entire development should be assessed. The Corps insisted that the analysis be limited to the effects from filling in 51 acres of washes. It justified the narrow review by declaring that the permit wasn’t pivotal to the project. The developer went a step further, asserting in a September letter to the Corps that the project would go ahead even if the permit were not reissued. The homes and amenities would be built between the many washes on the property, it said. “Admittedly, developing our property in this manner would not meet our project purpose … our core concept of interconnected villages would be difficult to retain,” the developer wrote in a letter also obtained in response to a Freedom of Information Act request. Deferring to the Corps and developer represents a major change for the Fish and Wildlife Service. Previous letters from the agency arguing against the development’s permit referred to scientific studies that showed potential impacts to the yellow-bellied cuckoo and northern Mexican gartersnake, two species recently listed as threatened under the Endangered Species Act, as well as the endangered Southwestern willow flycatcher and jaguar. In October 2016, the agency told the Corps that it should not have issued the original permit and should not reissue it unless it fully considers the entire project’s effects to endangered species. However, its October 2017 letter did not mention the studies previously cited. The Fish and Wildlife Service official who signed the letters defends the reversal. Environmentalists and legal experts are concerned not just about this reversal, but also about whether it is a harbinger of a new era in which science matters less in decision-making and concerns about ecological impacts will be scuttled to ease development. “There’s something a little fishy about (the Fish and Wildlife Service) dramatically changing its position several months after a new administration comes in. It certainly raises questions to me about whether this is a politically driven reversal,” said Justin Pidot, an associate professor at the University of Denver Law School who was a deputy solicitor for the Interior Department in the Obama administration. Proving political interference, however, would be difficult, he added. But environmental groups, including the Center for Biological Diversity, Sierra Club, Tucson Audubon Society, Defenders of Wildlife and the Lower San Pedro Watershed Alliance, argue that by adopting the position of the developer, the Fish and Wildlife Service is ignoring the substantial scientific record about the potential negative effects of the project on wildlife. A big development near the San Pedro also could increase flooding and send large amounts of sediment into the river, degrading habitat, according to scientific research. The San Pedro watershed in southeastern Arizona. The groups’ lawyer also disagreed with the assertion that the Villages of Vigneto project could be built without the permit. 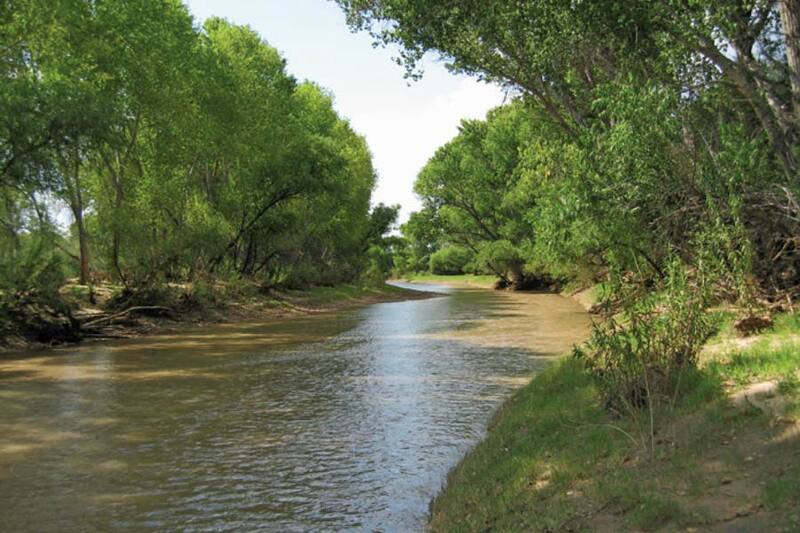 Whatever development could happen without filling in streams would be significantly different from the one El Dorado proposed in its master plan, which has been approved by the local government. Former Interior Department lawyers and legal experts say the Corps and the Fish and Wildlife Service have long been in a tug of war over when the federal government must look at the effects of an entire project or the direct impacts of filling in streams when it issues a permit. The fate of a project can depend on who wins this tussle. When considering similar disputes concerning housing developments in Arizona, the U.S. Court of Appeals for the Ninth Circuit has ruled different ways, depending on how likely it seemed that a development could avoid the streams or wetlands. In one case, the court decided against the Corps: “These washes were dispersed throughout the project area in such a way that, as a practical matter, no large-scale development could take place without filling the washes,” the ruling states. But in another case, in which the upland area could be developed independent of wetlands, the ruling supported the Corps’ argument for narrowing the scope. The Corps declares that the Villages of Vigneto is closer to the second case. But a legal expert who looked at the property’s maps is skeptical. What’s more, Owen stressed that the developer and the Corps are trying to have it both ways. To get the original permit, the developer had to first demonstrate to the Corps that filling in those 51 acres of streams was essential for the project. The Corps will weigh the broader environmental concerns against the projects benefits, such as economic development, when deciding whether issuing the permit is in the public’s interest, said Kathleen Tucker, the Corps’ project manager. “That decision will reflect the national concern for both protection and utilization of important resources,” the agency states in its request for public comment. A decision is expected by early next year, according to Tucker. If the Corps reissues the permit, environmental groups may sue to try to block it. President Donald Trump is waging an all-out war on science. And we’re tracking the damage. Sign up to get our latest stories delivered to you.